Weave through the stigma and complexities of chronic pelvic pain to discover what's causing your pain and start your journey to recovery. Many people suffer from chronic pelvic pain, but it's drastically underreported due to issues like social taboo, shame and privacy concerns. There is also a lack of integrated medical and rehabilitative services for persistent pelvic pain, leaving many pain sufferers without the answers they need. While pelvic pain covers many diagnoses and can have orthopedic, gynecological, gastrointestinal, urological and neuropathic considerations, there is one common link—the pain system. Tissues generally heal within three to six months. Pain that lasts beyond the normal healing period is more likely due to an extra-sensitive nervous system and how your brain processes information from the body and environment. Yes, the tissues need to be treated, but they're not the only contributor to your pain. Learn about your pelvic pain—research shows that you'll function better, move more easily and experience less pain. Burning, itching, spasm, sexual problems, and issues bowel and bladder urgency are all protective mechanisms like pain. Why Pelvic Pain Hurts also addresses these issues. Written by physical therapists Adriaan Louw, Sandra Hilton and Carolyn Vandyken. Illustrated. Softcover; 70 pages. 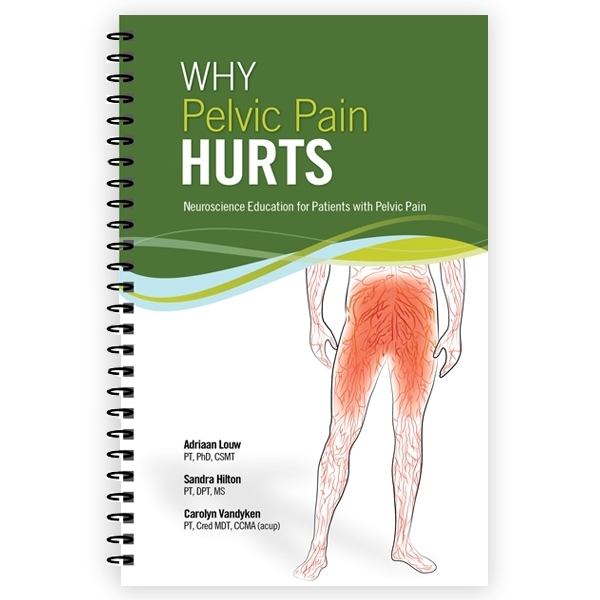 Finally a patient handbook that pulls together up to date pain science with the issues of chronic pelvic pain. Clearly worded, good explanations and patient friendly. If you&apos;re a clinician this is a must have to improve your treatment with patients with this issue. 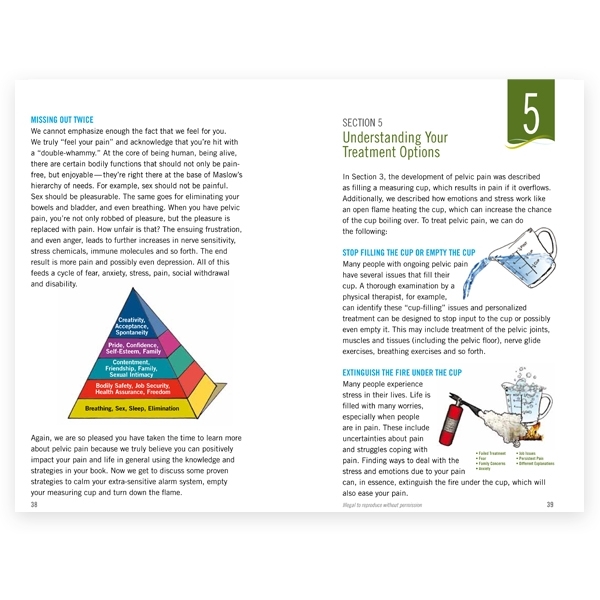 If you&apos;re a patient this is a step by step guide to understanding your pain...an important treatment tool in changing your brain for the better!